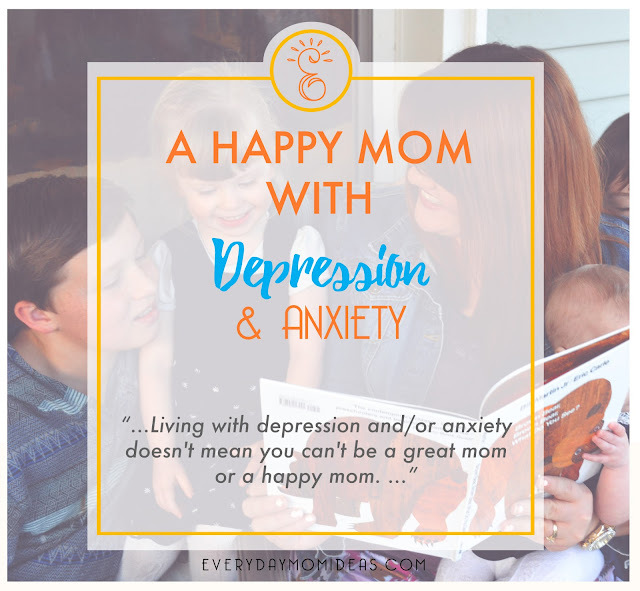 Living with depression and/or anxiety doesn't mean you can't be a great mom or a happy mom. No one is perfect. We are all human beings with our own complexities. I have been living with Post Traumatic Stress Disorder since I was a little girl. There was even a period (just one year into college) where I became basically Agoraphobic because the depression and anxiety took control of my life. Shortly after my lowest point I decided I couldn't stand living like that and I took the first steps to receiving some much needed therapy. Even though I was not cured of my anxiety and depression I was given tools and training to help get myself out of those dark places and use preventative measures when I see myself headed in a direction I don't want. Being a full time mom is an incredible blessing and a journey and I am so in love with my kids. That unconditional love for them is what drives me everyday to be a better person and to create a wonderful full life for them and myself. But being at home all day with a bunch of kids with no one else around can make it hard to find happiness and balance when you just want to hide under the covers for the rest of the day. I have to push through irrational and ugly thoughts and lean on the tools and techniques I have come to rely on. These tools and techniques help me fight off the depression and anxiety as a full time mom and help me achieve the life I want for myself and my family. I have broken them down into a checklist of eight goals each day. Eight Ways To Battle The Darkness When Your A Stay At Home Mom. 1. Get Dressed. You will be more likely to face the day and what it brings if you are fully dressed. Its such a simple thing but I think its the most important. Just get dressed. Do it first thing when you wake up. Before you get anyone else dressed or make breakfast. It can be simple if you need it to be. If you are really needing a boost get all dolled up even if you are not going anywhere. Get dressed up for you. You are important company for yourself as well. Remember the more you put into your look the more empowerment you give yourself to face the day. Try getting all the way dressed up and see how much it changes your day. 2. Clean One Thing. When I am feeling really down and can only seem to manage taking care of myself and my kids let alone anything else, I set a goal to just clean one thing. That "one thing" makes a huge impact. It breaks the day into smaller steps when the day just feels too big and overwhelming. Sometimes that "one thing" can lead to another and is a great way to get the ball rolling. Sometimes that "one thing" is all you could have managed that day but you pushed yourself to complete that goal and its empowering as well. The day wasn't a complete loss since you did that "one thing." 3. Get Moving. Everyone will tell you to exercise and so will I. Even if its just 15 minutes do something active. Make a list of all the active things you like to do and pick from that list everyday. Go swimming, go to a walk to the park, go roller skating, go biking with a bike trailer full of your kids, gardening or yard work, play tag with your kids, do yoga from the computer. Just move! Get that heart rate up! 4. Do Something "You" Love. You were not always a mom and you are not only a mom so you have to feed that part of yourself as well. Set a goal to do something you love that doesn't have to do anything with your spouse or your kids each day. Simplify it if you don't have a lot of time to get away. Color for a few minutes, listen to a great song, paint your nails, read for 15 minutes. Just remember to take care of you a little bit so you can better take care of your loved ones. 5. Plan Your Meals. You may be asking what planning your meals have to do with depression and anxiety well it has a lot to do with it. Having your meals planned and bought at least two weeks in advance helps bring down the anxiety of whats for dinner and having to do last minute shopping. I also recommend making half the meals something a little more complicated and tasty and the other half of the meals super simple and quick. On The days where the demands are just too much you will have a bunch of super simple meals to choose from to help take some of the load off. Ive created a two week meal plan schedule that anyone can stick to. You just plan fourteen meals ahead of time and during the two weeks pick one of the meals off the list that you would like to make that day. The meals are not bound to one specific day because you never know what that day may be like and if its a good day for a simple meal or if you have time and energy to put a little more effort into the dinner. 6. A Fun Mom Thing. You love being a mom so you should enjoy it! 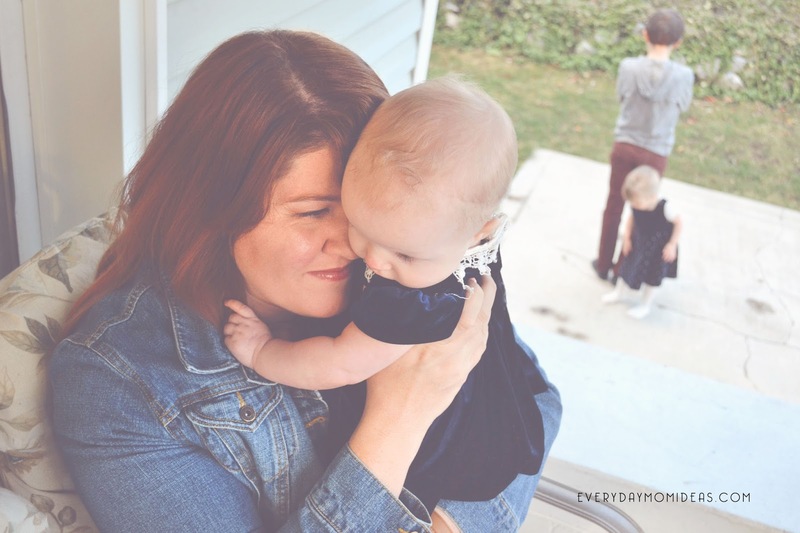 Do a fun mom related thing each day to remind yourself how much you love being a mom. Your kids will love it to. 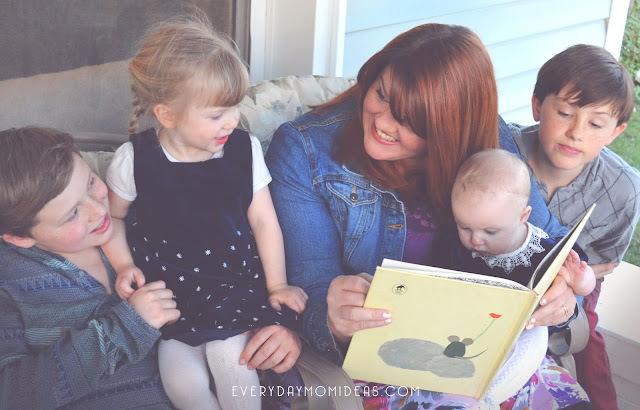 Try playing with your kids, doing something crafty, snuggle time, tickle time, or just read to them. Just pick something you really enjoy doing with your kids and try to fit it in each day. It will recharge your relationship with them and naturally help you to get through the less pleasant moments of the day. 7. PJ Day! If all else fails and the world is too much today take a stay-cation and make it a pj day with the kiddos. But you have to make it fun and you only get to do a PJ day everyonce in a while. No two PJ days in a row. Make a fort with tons of pillows and share your favorite childhood movies with your kids. Take a break and reboot so you can have a more productive day tomorrow. 8. Pray. Taking a quiet minute to meditate and/or pray and reconnect with your spiritual side each day can have an unimaginable impact. Its a time to reflect and gather yourself and then surrender yourself. Think of it as creating peace with prayer. "When its too hard to stand, kneel." I often find that when I pray first thing in the day I do not feel quite as alone. That there is someone else helping me along my day and that I do not have to carry it all by myself. I am so grateful for my relationship with my heavenly father and the knowledge that he is always here for me especially when the burden feels too great. Anxiety and depression is a serious thing. If you are struggling through your day and can't seem to get out of the dark places please do not stay silent. Please tell someone and take active steps to getting help. 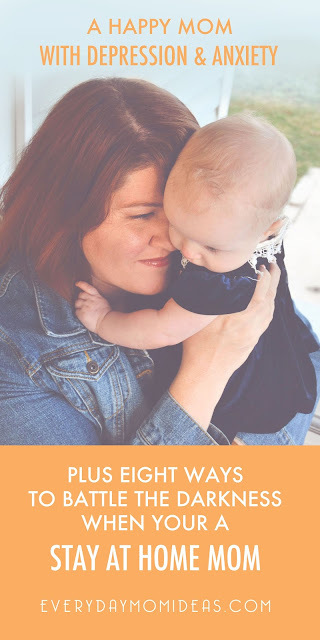 This post is to encourage moms who already have their depression and anxiety already well managed and just need some extra tips or a refreshing reminder. If you are a happy mom living with Anxiety and Depression please share with us any tips and advice to how you manage creating a happy life. Please share this Pinterest friendly photo below with your friends and family. 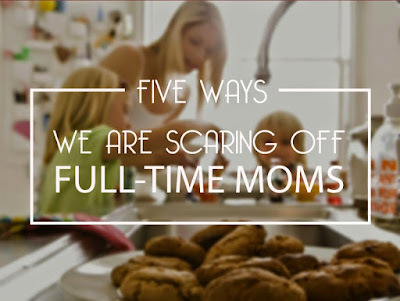 You may also be interested in reading about five ways we are scaring off full time moms and we may not even know it. Excellent article! I completely agree with every suggestion, and even after all these years I still forget. I will be printing these and including them in my disc-bound planner to keep them fresh on my mind. I wrote this as a good reminder for myself as well. Once I compiled my check off list I thought I might share it in case someone else found value in this information as well. Thanks to your comment here I think I might design a printable pdf. of this check off list for myself and anyone else who wants it. What a great idea! Love this list! So many of these are on my list. It is amazing how having those goals for the day can help with the battle. On the bad days I can say, well at least I did the things on my list, so I'm not a complete failure! Thanks for sharing and God bless you! You are definitely right! Its amazing how just doing a few of these simple things can have huge impacts in our day, attitude and life.